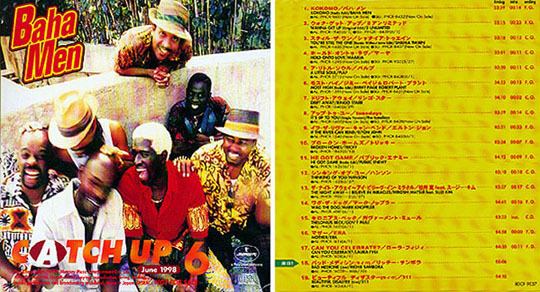 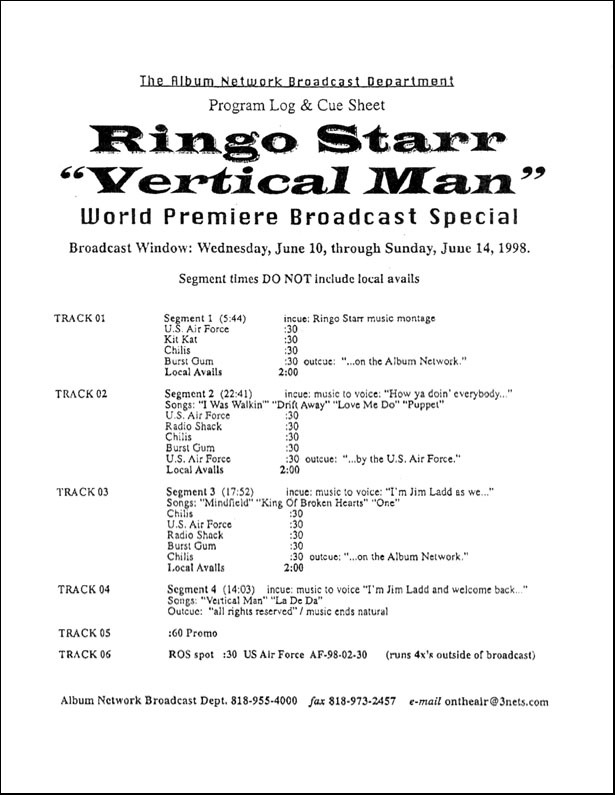 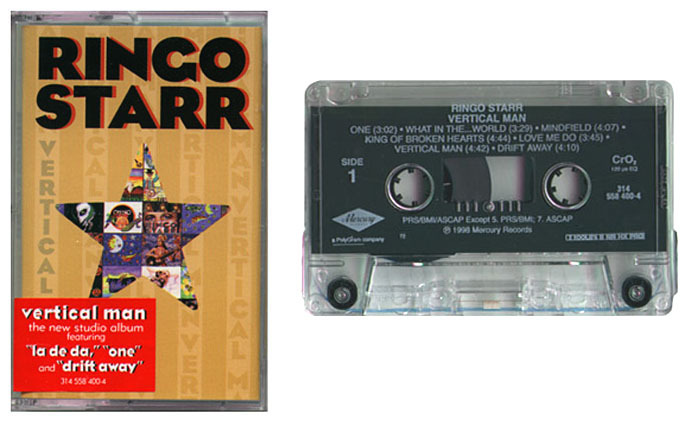 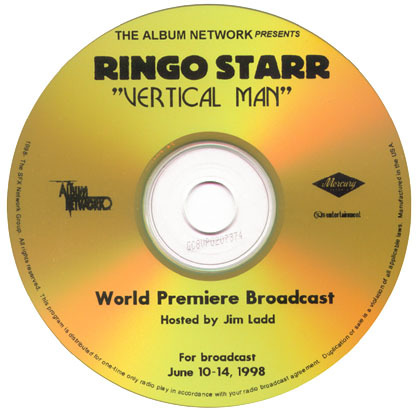 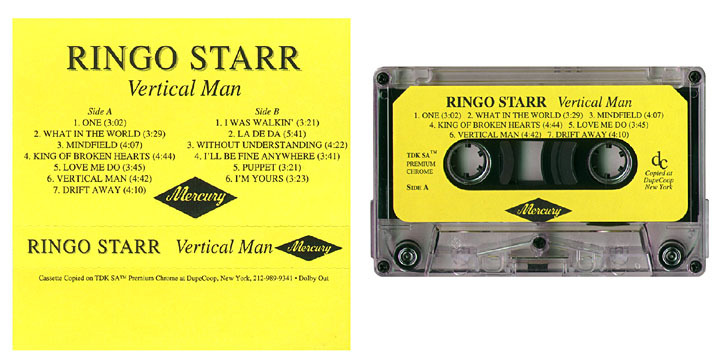 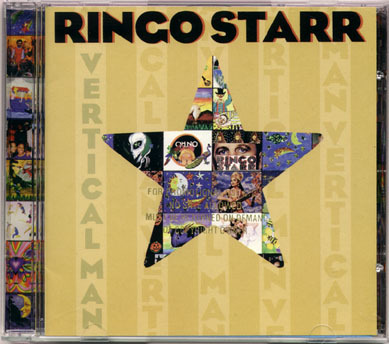 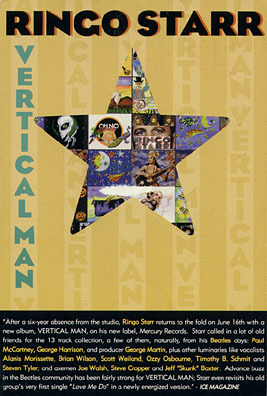 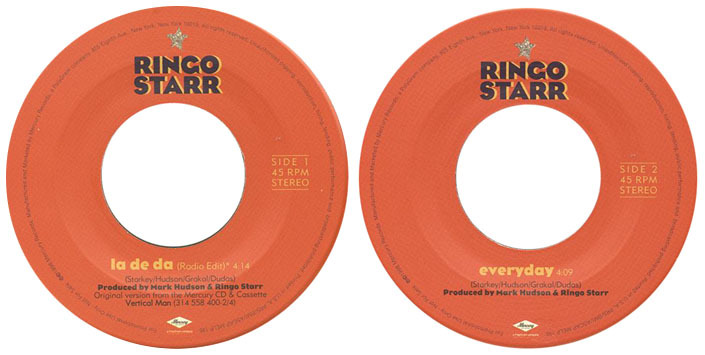 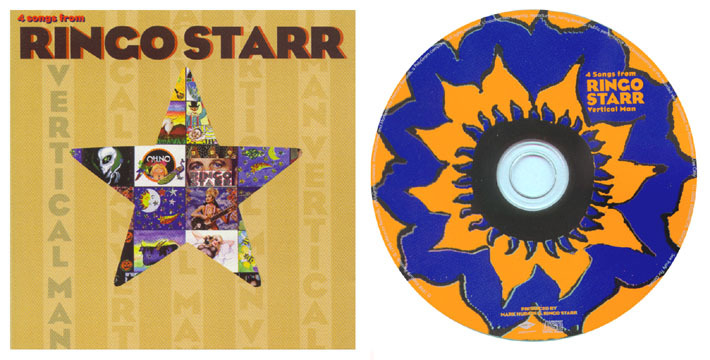 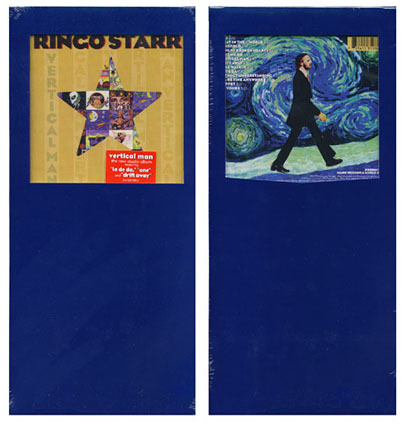 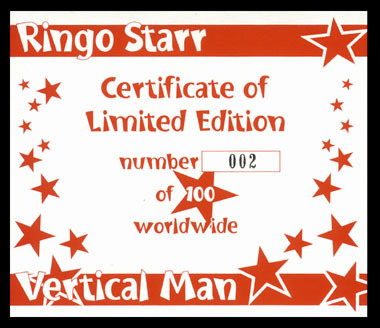 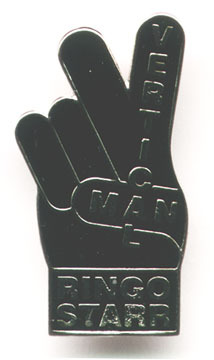 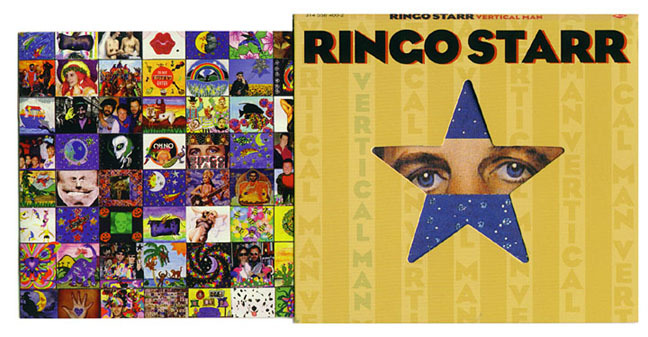 The following is a list of all known issues, variations and support materials for the U.S. release of Ringo Starr's new Vertical Man album, as well as some non-U.S. releases. 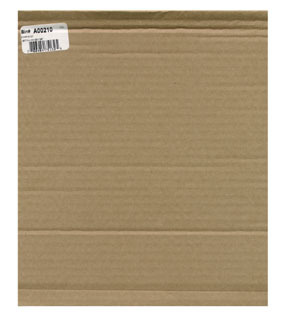 Numbers given for quantities are estimates based on information from industry and collecting sources. 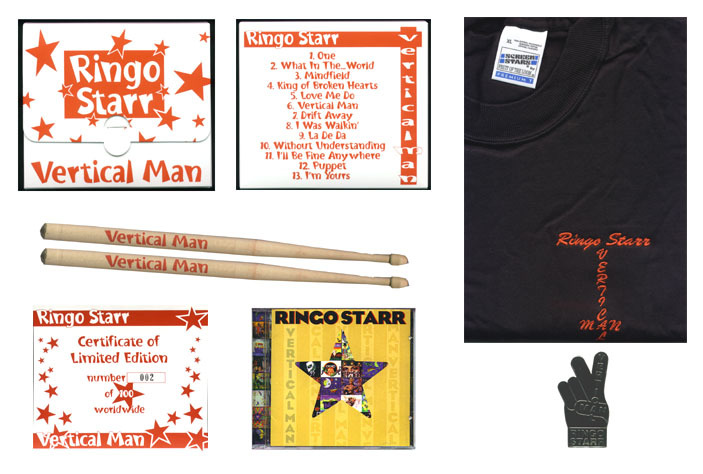 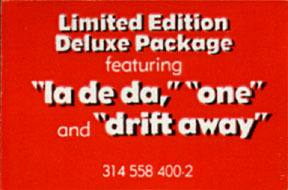 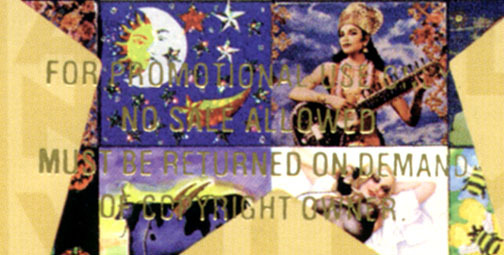 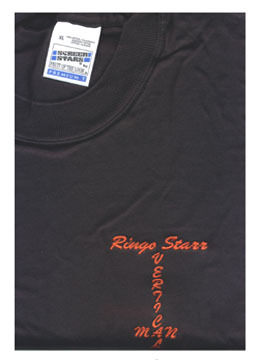 Due in part to the intense advertising and promotional campaign, there are plenty of variations for collectors to gather, the most ever for a Ringo album. 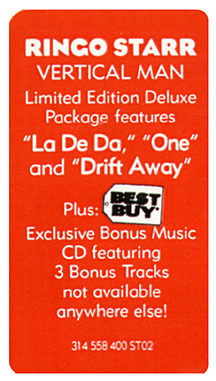 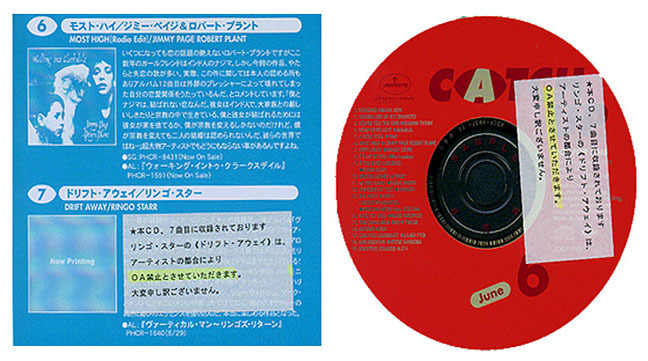 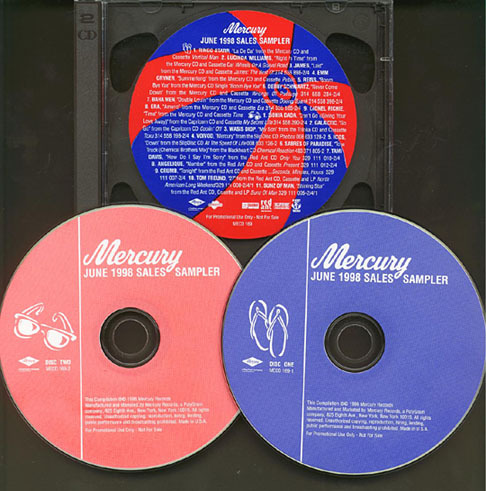 Mercury LC0268 La De Da / Love Me Do SWEDEN (CD single featuring La De Da (Radio edit) and Love Me Do.